The federal government forces you to invest in their science projects. 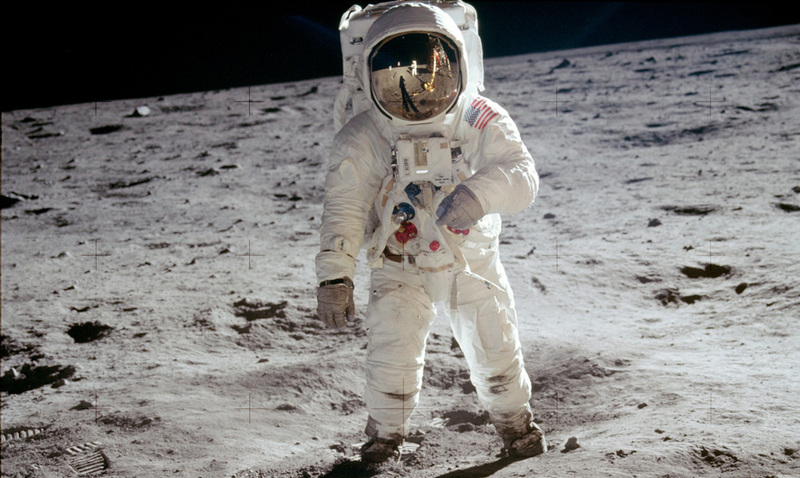 “That’s one small step for man, one giant exploitation of taxpayers.” That’s what Neil Armstrong should have said when he stepped foot on the Moon in 1969. The Apollo space missions cost United States citizens $25.4 billion dollars – today, that cost would be about $150 billion. The National Aeronautics and Space Administration, as a federal agency, receives its funding from the budget annually passed by Congress. In the 2015 fiscal year, NASA spending made up about 0.5 percent of the budget. While this may seem to be an insignificant statistic, it is the equivalent of $18 billion from the federal government. Proponents of government spending argue projects like massive telescopes, freeze-dried food, and space shuttles are “too big” for private funding. This is simply not true. These government programs spend billions of dollars each year that come directly from the private sector in the form of taxes. Liberals encourage the government to subsidize mass transit and sports complexes because they believe it wouldn’t be profitable for a private business. Robert P. Murphy, Ph.D of the Ludwig von Mises Institute points out that this argument really means American consumers would rather spend their money on other goods and services. By taxing those consumers and redirecting their money to government projects the government overrides the voluntary choices of the public. For those who do wish to spend their personal income on space missions, feel free. Space enthusiasts have already formed private companies launching more and more into space each year. Another argument is without government funding, important technologies would not exist since the process of discovering them is not profitable. Even in a genuine free market system, operations without profitable goods or services would still survive. There are numerous foundations and awards compiled by independent actors to further space exploration out of pure, scientific interest. In 2004, Burt Rutan won the $10 million X Prize for his SpaceShipOne. In 2011, Saul Perlmutter, Adam Riess, and Brian Schmidt won the Noble Prize for Physics after their study into the accelerating expansion of the Universe. It’s not just the government’s fascination with space draining our wallets. Undersea explorations, mass transit systems, and archaeological pursuits are all deemed too expansive for the private sector to undertake. So the government takes private money and does it anyway. This practice is not a responsibility of the United States government, nor is it a right. Contact your elected officials today and ask them to stop sending your money to outer space. On behalf of FreedomWorks’ activist community, I urge you to contact your senators and ask them to vote YES on resolutions of disapproval, H.J.Res. 36 and H.J.Res. 37, to cancel regulations submitted by the Bureau of Land Management and the Department of Defense, the General Services Administration, the National Aeronautics and Space Administration. Congress has the authority under the Congressional Review Act (CRA) of 1996 to effectively nullify regulations submitted for review by federal agencies within 60 legislative days. Since the Congressional Review Act became law in 1996 through the 114th Congress, more than 120 resolutions of disapproval have been introduced to cancel regulations promulgated by federal agencies. The Congressional Review Act gives Congress 60 legislative days after a federal agency submits a rule for review. Between the 104th Congress and the 114th Congress, only one resolution of disapproval canceling a rule passed by both chambers of Congress and was signed into law. On behalf of FreedomWorks’ activist community, I urge you to contact your representative and ask him or her to support resolutions of disapproval against costly regulations promulgated by federal agencies. The resolutions are aimed at regulations submitted for congressional review by the Department of the Interior, the Securities and Exchange Commission, Department of Defense, the General Services Administration, the National Aeronautics and Space Administration, and the Bureau of Land Management.